Maybe a developer's test post? KSL does that every once in a while. OK. That would make some sense. The price, T-Tops (on a Honda? ), and the Cummins really threw me. LOL. Danny’s u pull in Tulsa has a decent 89 MJ. 4.0 short bed, 5 speed. 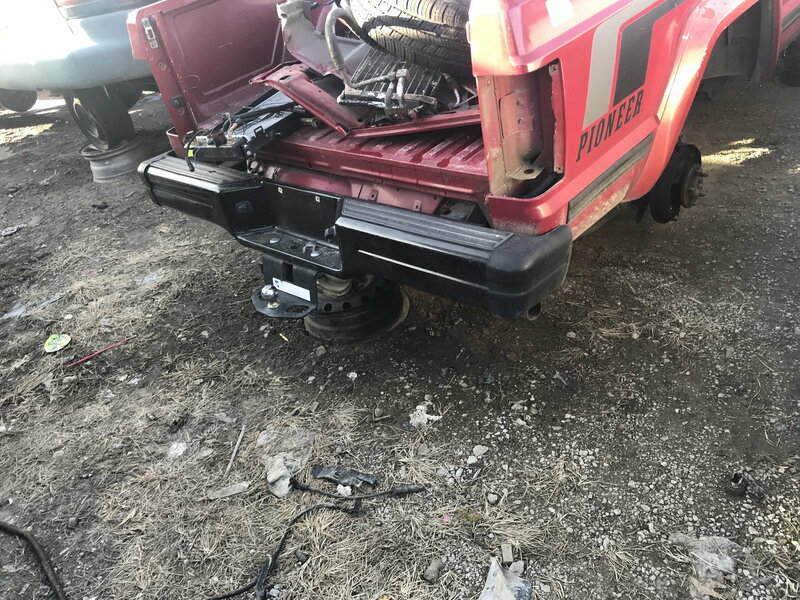 Has brand new rear bumper. Thinking even shipping, assuming he would, this is pretty cheap. Also guessing '97 and up. Is that bumper still there? I was wondering when one of you MJ guys was going to ask about that. I don't get it. I don't understand how some of these Jeeps are worth that kind of dough. I mean I love my Jeep. I have no problem spending money on her to get what I want. IMO have way more money in her then she is worth. And I am OK with that. Not looking to sell her. Ever. But being older thinking there will be a time when I can't drive anymore and will. IMO unrealistic to get out of her what I have in her. Thinking if I get half of that figure I am doing good. I just talked some guy down off the ledge from spending $10K on an '00. Or maybe an '01. Can't remember. Jeep quit making right hand drives recently . People are paying outrageous prices to buy the ones that are still out there that aren’t destroyed to deliver in . That’s the only reason in this instance ! I’ve heard about JKs selling for new prices several years old ! Thinking if you are local to this might not be a bad deal. Are you talking about the mats? Are you close to where that is? Ask if they will separate the set. You won't know till you ask. the rear cargo area mat. I'm in Texas, no where near close. the rear mat for the cargo area. I'm in Texas so no where near close.